How can critical thinking make me a better nurse? What is critical thinking and how can it help me to be a better nurse? The drive for evidence-based practice has increased the need to understand decision-making in healthcare (Cader et al 2005). Clinical practice has also evolved with the expectation that a nurse should have the knowledge and experience to identify patient problems and make appropriate decisions that may affect an older patient's well-being (Wolf 2013). Although much attention is given to critical thinking in the literature, there is a suggestion that the term needs to remain vague to protect its aim to encourage thinking (Bailin 2002). This lack of clarity may be seen as negative by some, but can allow for creative thinking and enable problem solving that is innovative and patient focused. Many of us make decisions about patients’ care every day, but do not think too much about the complex processes of reasoning that allow us to reach conclusions. Rutter and Brown (2012) suggest that appraising the situation through standards of analysis is important, but judgement also plays a part and deductive argument says that a premise is only acceptable if the judgement can be adequately defended. In practice, this means reaching a conclusion that has a good argument, can be supported by expert views and does not contradict the evidence. 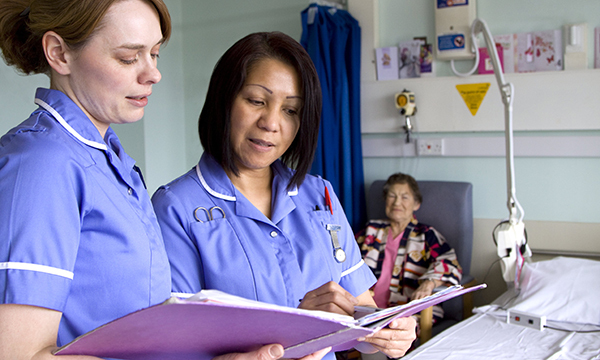 Many nurses are aware of evidence-based practice and would consider this the cornerstone of their practice. However, it is the idea that evidence-based practice and critical thinking being so closely related that is crucial in the assessment process (Bate et al 2012), therefore suggesting that critical thinking is based on sound knowledge and learning gained through education. Other concepts influence critical thinking including socialisation and developed beliefs, as well as unconscious assumptions made about patients (Berman 2001). Berman (2001) suggests that it is not always possible to prevent this from happening, but it is crucial this is recognised to adapt to a situation with a patient and communicate effectively. It may be helpful to consider critical thinking in terms of a framework. Coutts (2014) discusses a six-phase model of critical thinking starting with identifying problems, gathering information, considering the conclusion, testing, evaluating and then making a clinical decision. Although it appears simple, it is a complex process for the nurse that allows them to make meaningful decisions about care and treatment. Practically, critical thinking allows decisions to be made even if that decision is to do nothing, as in not attempting resuscitation. Nurses often use patient norms to identify abnormalities and this can be vital in situations requiring fast thinking, such as a patient collapsing. Nurses will respond quickly to this situation and follow training and procedural cues to manage this patient’s needs. However, it is also critical thinking that enables nurses not to be misled by simple visual cues at other times, by considering additional and collateral information to form a view of a patient’s condition (Kahneman 2011). This type of thinking is used when urgency is not required or used to back up earlier ‘fast thinking’ views, for example, establishing a patient’s pre-morbid condition to plan their discharge from hospital. Many would describe this as professional judgement, but this is part of our thinking created by comprehensive knowledge and expertise. This is a fundamental feature of practical reasoning as this creative and critical thinking allows the nurse to deal with uncertainty and unpredictable situations, which many would recognise to be the norm in healthcare. Decision-making in nursing is seen as a fundamental part of clinical care and some regard gut feeling or intuition as an important part of this. However, realising that this inner knowledge aided by evidence and education is part of critical thinking may help nurses to recognise what they do as credible in a scientific world. Furthermore, the practice of critical thinking should be encouraged to provide excellent care and improve patient well-being. Bailin S (2002) Critical thinking and science education. Science & Education. 11, 4, 361-375. Bate L, Hutchinson A, Underhill J et al (2012) How clinical decisions are made. British Journal of Clinical Pharmacology. 74, 4, 614-620. Berman S (2001) Words, Meanings and People. International Society for General Semantics, Concord CA. Cader R, Campbell S, Watson D (2005) Cognitive Continuum Theory in nursing decision-making. Journal of Advanced Nursing. 49, 4, 397-405. Coutts B (2014) The complex decision making needed in significant event analysis. Primary Health Care. 24, 2, 26-30. Kahneman D (2011) Thinking, Fast and Slow. Penguin Group, London. Rutter L, Brown K (2012) Critical Thinking & Professional Judgement for Social Work. Third edition. Sage Publications, London. Wolf L (2013) An integrated, ethically driven environmental model of clinical decision making in emergency settings. International Journal of Nursing Knowledge. 24, 1, 49-53. Cliff Kilgore is a nurse consultant in intermediate care and older people at Dorset HealthCare University NHS Foundation Trust. He is a visiting fellow to Bournemouth University, a member of the RCN steering group for older people and chair of the British Geriatrics Society RN/AHP Council.